Clean, Sharp, Chilled, and Refreshing Sorbert is a perfect treat to the tastebuds in this hot weather. 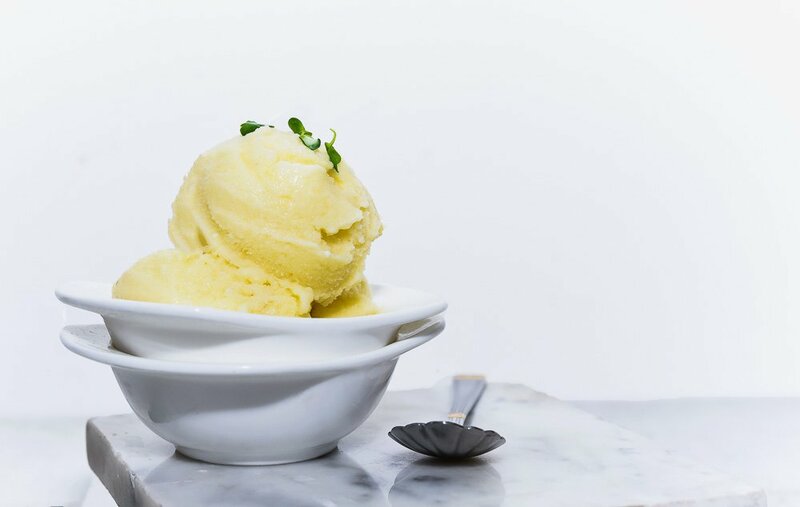 This is a pineapple sorbet, and the recipe is super easy for anyone to follow. 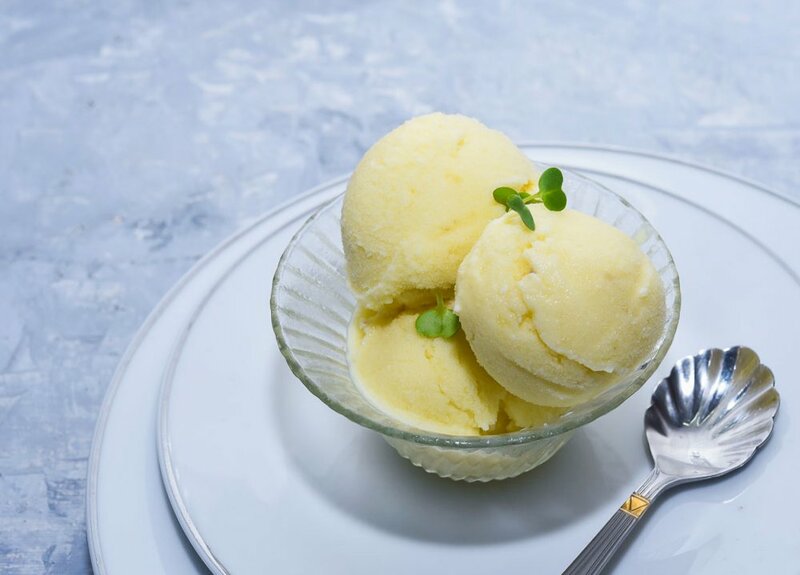 This creamy looking pineapple sorbet does not require any churning machine. Neither it requires any egg whites for a super fluffy texture. 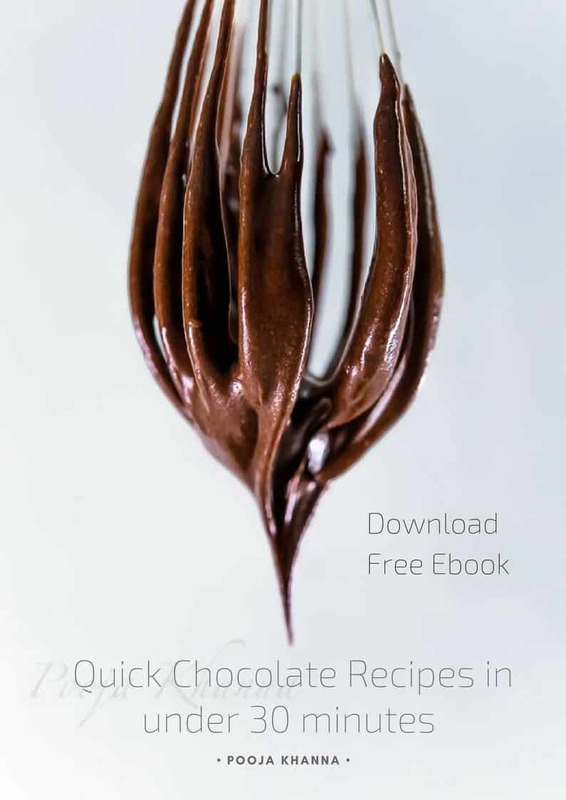 A very simple method to follow and you will achieve a success in taste + texture when made at home. 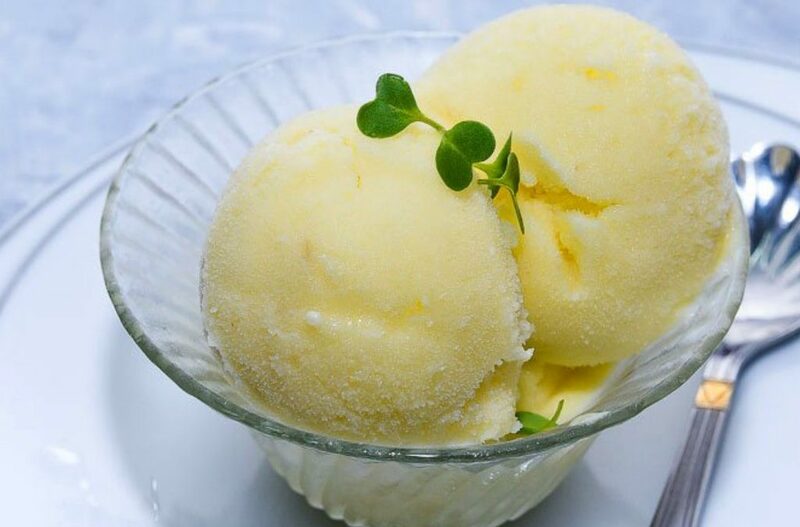 Sorbet is not exactly an ice cream but a trendy, diet conscious, fashionable type of cousin of ice cream. Lol … this can be a new intro to sorbet. 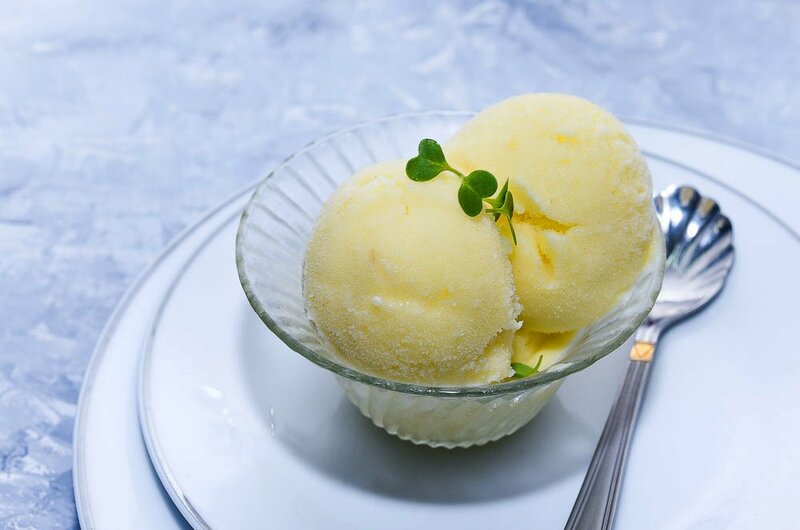 Actually, sorbet is a frozen icy treat, that does not contain ice but is made up of frozen fruit purees. Sorbet is soft as well as icy, its a cross between a slush and a soft serve ice cream. Often served between courses of a meal as a palette cleanser. But I have been treating myself with this delicious sorbet as a dessert after a meal at home. And simply love the richness of pure fruit. French. … Givré (means “frosted”) is the term for a sorbet served in a frozen coconut shell or fruit peel. 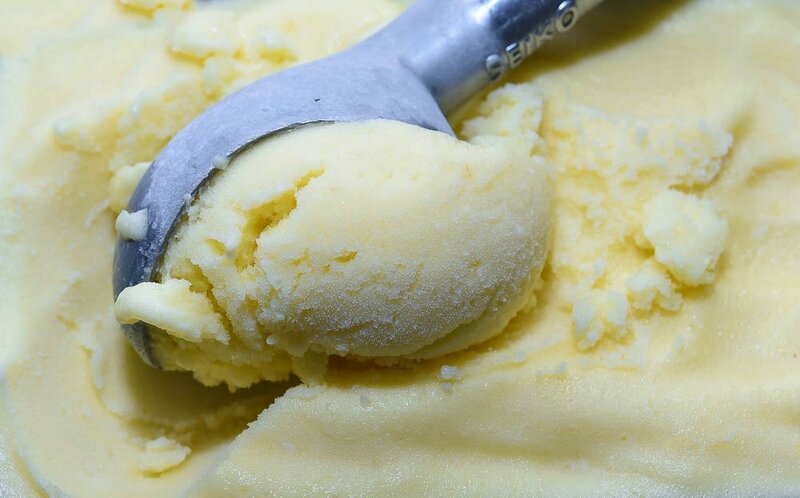 It is easy to make sorbet at home, the only battle with a perfect sorbet is textural. 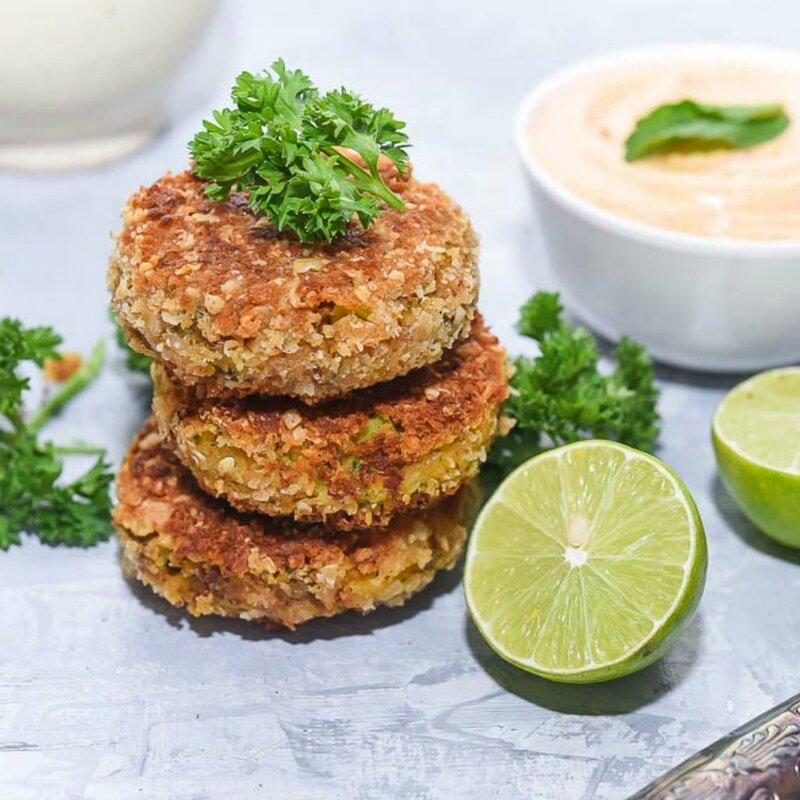 I am sharing some do’s and don’ts with you for this recipe, so it gets easier and you can earn a satisfactory result. First and the most important rule of making sorbet is to use good quality fruits. The best ones, juicy, ripe, naturally sweet fruits. The flavour and the texture, both depend on the quality of fruit you choose to use. Especially when you are selecting pineapple for the sorbet, make sure it’s ripe and sweet. The unripe pineapple has this natural tendency to itch in the throat. Pineapple contains something called “bromelain.” Bromelain breaks down proteins. If your mouth feels sore after eating pineapple, it could be because the bromelain is actually starting to break down proteins in your mouth. Don’t buy the pineapple if it feels firm to the finger press. Ripe pineapples will give slightly under your fingers when you press down. And will result in a yummiest sorbet. 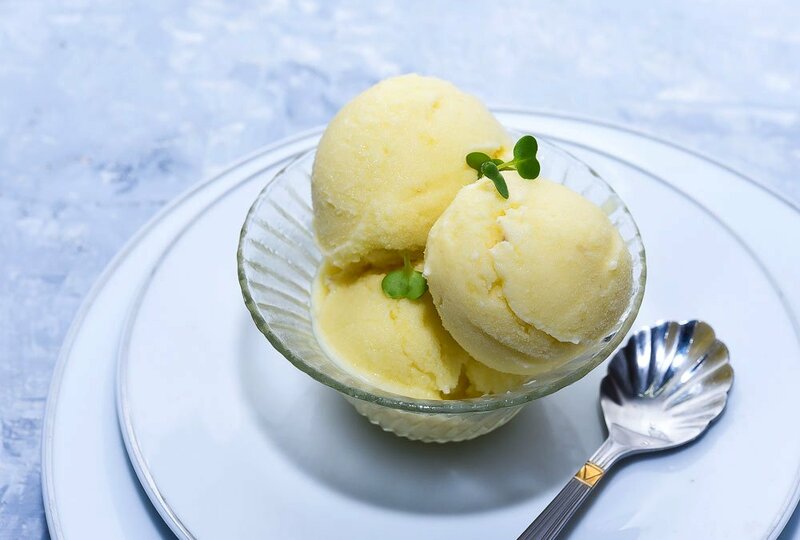 Another important point here is, fruits that have more fibre and have more natural occurring pectin (mango, pear, stone fruits, berries, pineapple), which are high in viscosity, will make creamy and rich sorbet. That’s because pectin and fibre act as thickeners, their long starchy molecules work with the sugar and physically get in the way of growing ice crystals. Fruits like watermelon and pomegranate will make more slushy sorbet. Fruits that are sweeter by nature will require very less or maybe no sugar. But a fruit like a pineapple, which is high in fibre but is also tart/citrus in nature will require more sugar. Adding sugar – Add less and your sorbet is too icy to scoop; add more and it may never freeze. But within that window, you have some wiggle room, especially with high-pectin/fibrous fruits. 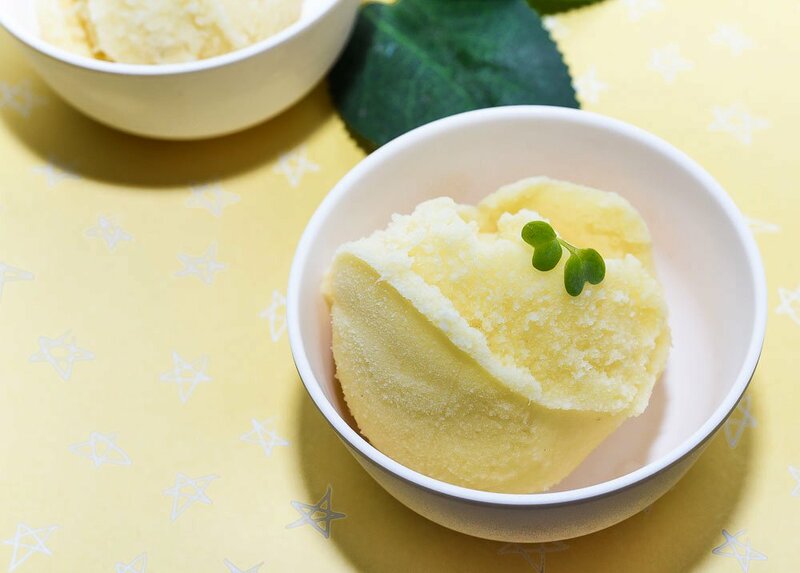 Which add stability and richness to the sorbet. 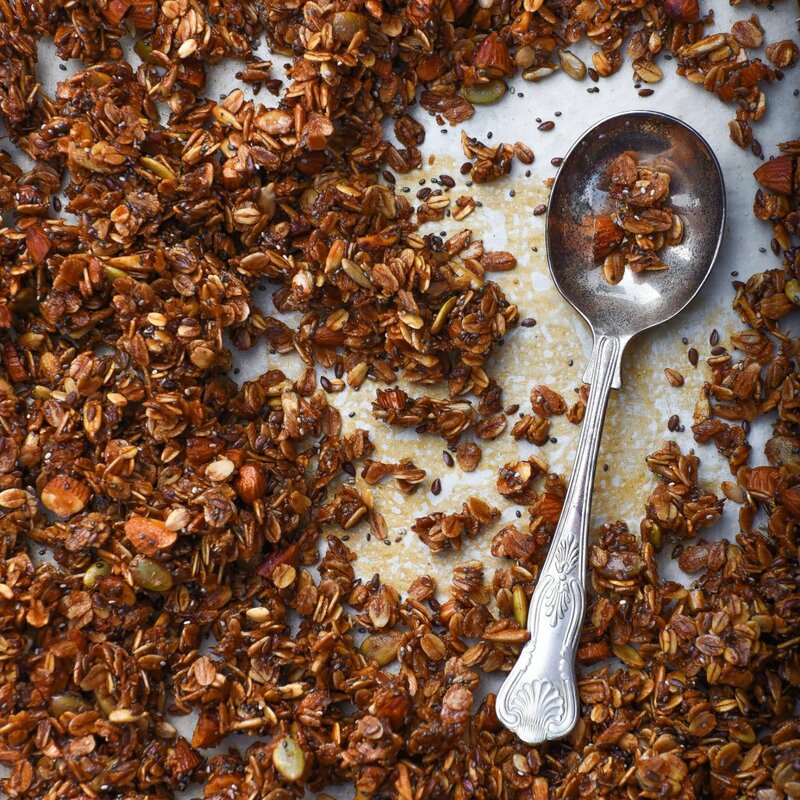 The easiest way to add sugar is to make a simple sugar syrup. Simmer equal parts sugar and water until the sugar is dissolved and let it cool. I have also used some coconut cream in this recipe. Pineapple and coconut are both fantastic, they complement each other and bring together a fantastic flavour algorithm. 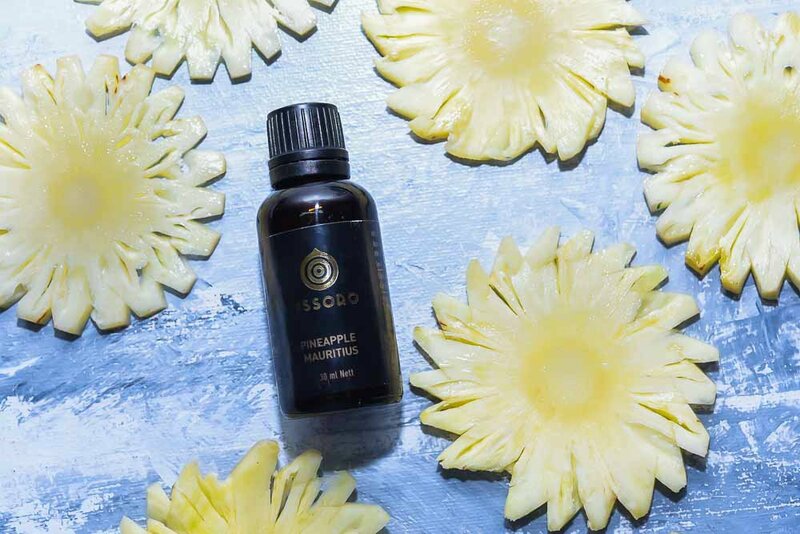 I have also added a few drops of Pineapple Mauritius flavour from Ossoro. It’s really wonderful. I was a little apprehensive about adding coconut cream to the pineapple sorbet. I was worried that the coconut flavour might take over the main pineapple flavour. 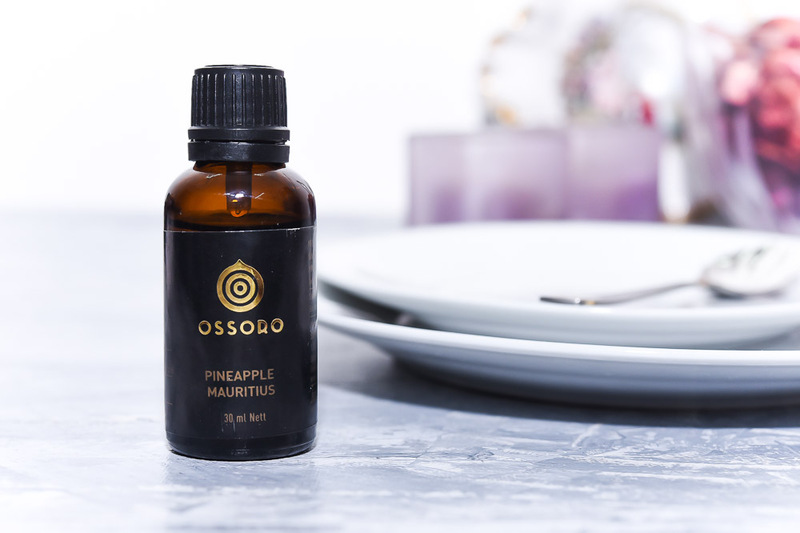 But just a few drops of Ossoro tropical pineapple flavour made the pineapple flavour very prominent and it worked really great. I said that the recipe will not need any churning machine. But you will require a food processor Inalsa INOX 1000-Watt Food Processor (Black/Silver) to make a sorbet from frozen fruits. 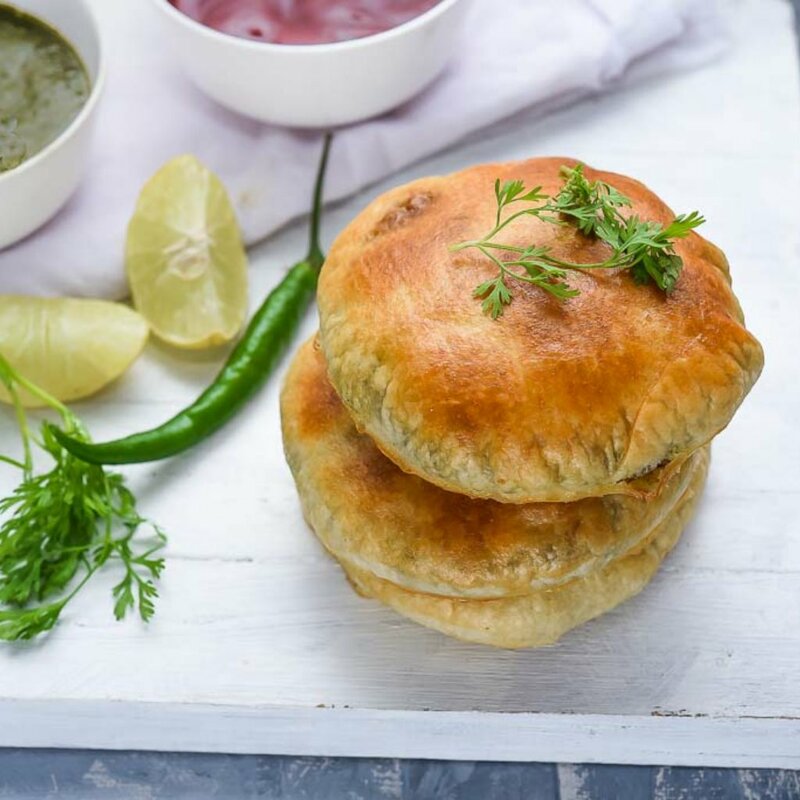 The regular masala mixer at home will not work for this recipe. Melt sugar and water in a pan on medium-low flame. Once the sugar crystals dissolve and you have syrup, pour it in a container and let it cool down completely. Add the frozen pineapple and all remaining ingredients along with sugar syrup to a high-speed blender and process until smooth and creamy, about 1 minute. For soft serve-style sorbet, serve immediately.